It is not uncommon for people to begin seeing visible improvements in their skin once they begin receiving acupuncture, regardless of what is being treated. When the focus is placed on the skin, the results can be remarkable. 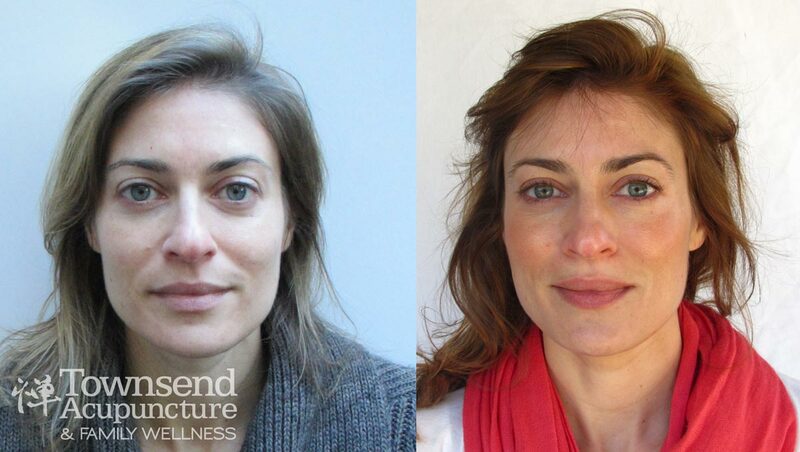 Facial Renewal Acupuncture can make you look years younger, much healthier and even feel better! Each treatment begins with a gentle facial massage to distribute blood and nutrients throughout the skin and muscles of your face. This process begins to plump up tired areas and aids in preparing the face for the acupuncture treatment. The acupuncture treatment includes a comprehensive analysis and holistic treatment of the underlying conditions that have lead to visible signs of aging. 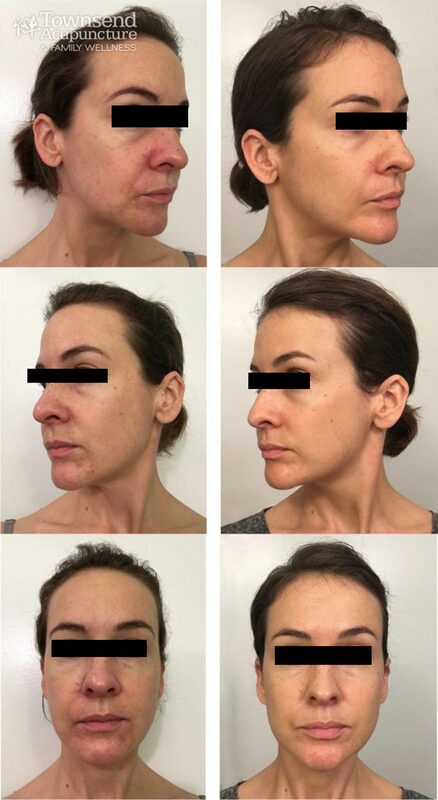 This treatment focuses on these improvements and comes with a money-back guarantee* if results are not experienced following the prescribed course of treatment. Based on your consultation, you will be given a treatment plan which will consist of a series of usually about 10 treatments. Each treatment lasts about 90 minutes which consists of about 1 hour of massage and needling, followed by about 20 minutes to rest with the needles, then finished with a warm aromatherapy facial compress and foot massage. 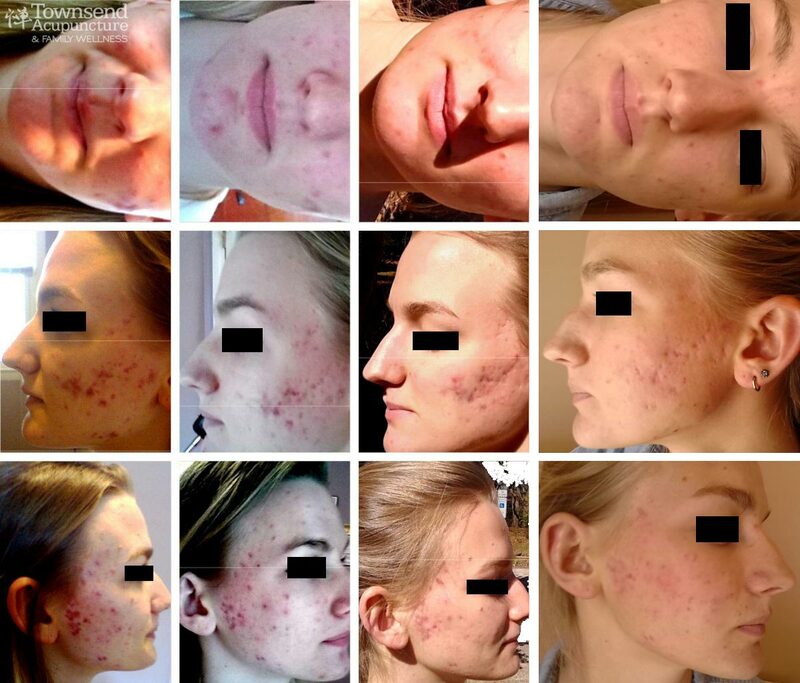 You will leave feeling amazing and your skin will be glowing! In addition to each treatment, you may be given exercises, herbs, and/or face masks to use at home and it is highly recommended that you receive at least 2 facials from an esthetician at some point during the course of treatment. Please contact us today to schedule a free consultation. Traditional cosmetic procedures focus only on the outside of your body, whereas facial renewal acupuncture is a holistic, whole body approach. The results are much more natural and beneficial long-term because you are healing from the inside out. Your skin reflects what is going on inside your body and when you address the underlying issues in addition to the external issues, your results will be extremely successful. If you’ve never had acupuncture before, you might be wondering what it’s like to get treated with needles. The needles used in any acupuncture treatment are about the width of a thick hair or a cat’s whisker and are frequently not even felt. Because they are so narrow, they can pass between sensory nerves. You may feel a slight tinge at first which goes away quickly. 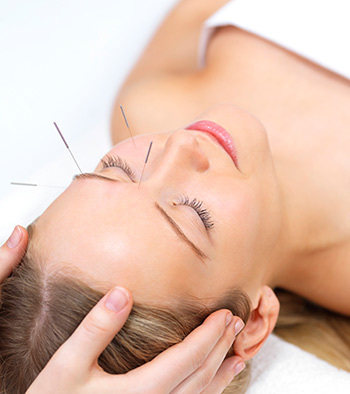 Many people report that acupuncture brings about a calming and relaxing feeling. The needles we use on the face are some of the highest quality steel needles anywhere in the world. They are all single-use needles that come in sterile, tamper-proof packaging from strictly regulated companies. *The expected results are determined based on the initial consultation with the acupuncturist. These photos have not been touched up and the patients are not wearing any makeup! © Copyright 2014-18 Townsend Acupuncture, Raleigh NC. All Rights Reserved. The information presented on this website is not offered as medical advice, prescriptions or diagnoses. Do not use this information as a form of treatment without the approval and guidance of your healthcare provider. Townsendacupuncture.com and its publishers assume no responsibility in the use of its information.